Sommer pushed acquisitions to position ZF for the autonomous future. ZF Friedrichshafen has dumped the architect of its costly quest for self-driving technology, but the German mega-supplier isn't abandoning his strategy. Shortly after CEO Stefan Sommer announced his resignation last week from the world's second-largest parts supplier, the German company reiterated its desire to develop sensors, software and safety technology for autonomous vehicles. 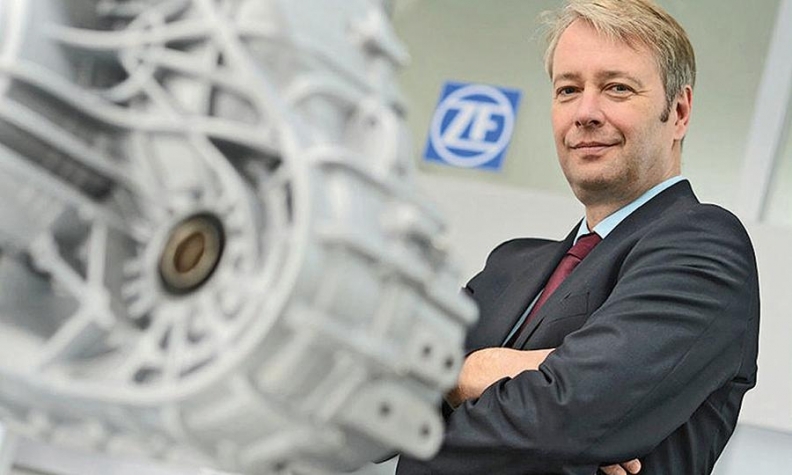 "ZF will stay the course for sure," company spokesman Christoph Horn wrote in an email to Automotive News. "We are determined to shape global mobility trends like autonomous driving." 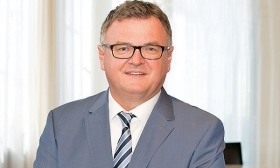 Interim CEO Konstantin Sauer will oversee a portfolio of autonomous technologies that Sommer had amassed since 2014, when ZF acquired TRW for $12.4 billion. That portfolio consists of cameras, radar and electronic brakes — core components for self-driving vehicles. Those critical new products, along with ZF's expertise in transmissions and drivetrains, gave the supplier the resources to compete with rivals such as Bosch, Continental and Autoliv. But Sommer, 54, ran into trouble when he tried to acquire technology for autonomous commercial trucks. In 2016, ZF launched an unsuccessful $515 million bid for Swedish brake manufacturer Haldex. In July this year, Sommer tried to acquire Wabco Holdings Inc., a $7.5 billion U.S. supplier of brake-by-wire and driver-assistance technology for commercial trucks. That deal was blocked by Andreas Brand, the mayor of the company's home city, Friedrichshafen, Germany, and chairman of the Zeppelin Foundation, which controls ZF. According to press reports, Brand regarded the Wabco bid as "reckless." Brand was worried about ZF's growing debt, but Sommer countered in the German newspaper Schwaebische Zeitung that he needed the "freedom to do what is necessary." The dispute came to a boil Nov. 29, when the supplier's supervisory board Chairman Giorgio Behr, a Sommer supporter, suddenly resigned. Eight days later, Sommer followed him out the door. While ZF hunts for a permanent CEO, the company is searching for a high-profile customer to showcase its array of autonomous technology. Rival Bosch has formed a technology alliance with Mercedes, while Autoliv is collaborating with Volvo. Denso is working with Toyota, and Delphi, Magna and Continental are in partnership with BMW. As the alliances introduce self-driving vehicles onto the world stage, these big suppliers are betting that other automakers will be more likely to adopt their technology. Fiat Chrysler Automobiles, for example, has agreed to use technology developed by BMW's group. "All of those alliances plan to offer turnkey solutions to other automakers," said Sam Abuelsamid, an analyst with consulting firm Navigant in Chicago. To avoid being left out, ZF has made a number of moves to beef up its technology portfolio. In 2016, the company launched Zukunft Ventures, a unit formed to manage ZF's investment in technology startups. Zukunft subsequently acquired a 40 percent stake in Ibeo Automotive, a maker of lidar in Hamburg, Germany. And in June this year, ZF announced a partnership with chipmaker Nvidia and Hella — a leading supplier of cameras and radar — to develop a complete system for self-driving cars. ZF produces sensors and software for intelligent cruise control, and it is marketing its self-driving technology under the rubric: "See, Think, Act." But it lacks a marquee automaker that will showcase ZF's system. Company spokesman Horn said ZF is "in talks with a premium OEM," but the company has nothing to announce yet. Abuelsamid says ZF needs such an alliance to establish its credentials. "They make a lot of component parts, but I haven't seen any automaker adopting a large-scale system from ZF," he noted. "If ZF doesn't partner with anybody, they might get relegated to Tier 2."